Feb. 19, 2019 - The powerful presence of the Iranian Resistance in Warsaw was very significant during the recent international conference hosted by the United States and Poland focusing on Middle East challenges, especially the Iranian regime’s malign activities across the region. Voices from inside the Iranian regime are deeply concerned about the growing credibility of the Iranian opposition coalition National Council of Resistance of Iran (NCRI) and the emphasis placed by the media and dignitaries on the role played by NCRI President Maryam Rajavi. Signs also indicate the international community is realizing the days of the mullahs’ regime are numbered. This has raised alarm bells among Friday prayer imams across Iran. These individuals are known as the representative of Iranian regime Supreme Leader Ali Khamenei in each city and province. Ahmad Alamalhoda in Mashhad, northeast Iran, expressed his utter disappointment. “The Americans launched the Poland gathering in Warsaw to condemn Iran and embarrass us. A fistful of hypocrites (the regime’s reference to the People's Mojahedin Organization of Iran (PMOI/MEK)) were also brought as Iranians to oppress Iran with their presence,” he said in his ridiculous remarks. While U.S. Secretary of State Mike Pompeo emphasized not one country disagreed that the Iranian regime is the source of all mischief in the Middle East, the Friday prayer imam in Qom sought to raise the spirits of the regime’s forces. “The Europeans have delayed us for several months. Despite their plans, in Warsaw many defended our rights. However, we should know that we must stand firm against the enemy,” he said. It is interesting how he uses the term enemy when citing the Green Continent.  Mohammad Taghi Pour-Mohammadi, a member of the Iranian regime’s Assembly of Experts, referred specifically to the PMOI/MEK. “Europe’s support for the [PMOI/MEK] is in contradiction to their claims of human rights,” he said, further signaling the main source of Tehran’s concerns. Mohsen Malakpour, Friday prayer imam of Farsan in Chaharmahal and Bakhtiari Province, central Iran, also voiced similar concerns. “The Americans support the [PMOI/MEK] and hold sessions with them to have the [PMOI/MEK] replace our Islamic state,” he said. If the entire Warsaw conference and the PMOI/MEK rally were nothing but disastrous failures, then why all the brouhaha and concerns from these Khamenei representatives? The truth is that in Warsaw the Iranian regime, their regional warmongering and terrorist meddling were significantly cornered by the international community. The Iranian Resistance, with its strong presence in Warsaw, proved once again for the world how it plays the unique role of the alternative for the mullahs’ regime in Tehran. This is the very reason why the mullahs’ regime has gone mad over the PMOI/MEK’s growing global credibility.